This week, we continue our interview series with Part 2 of my interview with Bryan J.L. Glass, writer of Mice Templar and Furious! 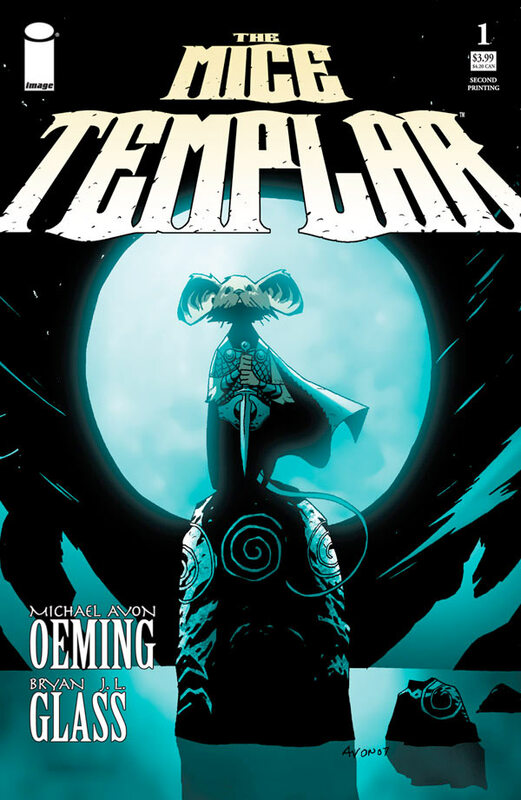 Bryan: So while The Mice Templar is set in a world where “the Templar have fallen,” I asked Mike [Oeming] that if our plan is to restore the Templar at the end, how did they fall? So we know what’s really at stake. If they fell once, they can fall again and it’s going to be a very short term victory. It’s a victory that will only last as long as our hero does. Mike’s response was that he’d never really given it any thought; it was a setting. It was a world where the Templar had fallen, and now they would be restored under the young hero. But I thought we needed an answer. It was seeking an answer to this question that everything that became what Mice Templar is now just blew outward in all directions. I jumped to the past, I jumped to the future, every concept in the story kind of exploded sideways and next thing we knew, I was asking Mike, “Hey! Your six-issue miniseries, can we make it eight issues?” And he said “Yeah.” And then, “Hey Mike, it needs to be ten!” “Okay.” “Mike, it needs to be a twelve issue maxi-series!” And he went, “That one, you’ve got to justify.” So I proceeded to justify, and then it was, “It’s going to be sixteen.” Then, “It’s going to be eighteen.” I think he finally forced me to cap it at twenty-five issues. He said “Go no farther than that, and give me an outline that represents the twenty-five issues. I’ll approve it, or make what notes need to be made, and then I’ll authorize you to start scripting issue one.” That was how Templar began. After the first arc, circumstances forced Mike to leave the book and relocate to other parts of the country because he got another job. The book was just left in limbo for a year, until Mike recommended Victor Santos to take over for him. By the time Victor was starting, we were nominated for and won a pair of Harvey Awards! 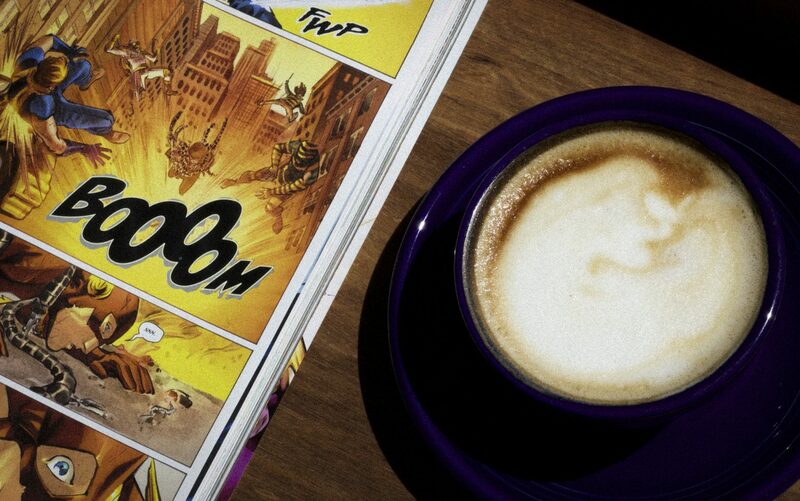 At that point I’m thinking okay, new artist, the book is an award-winning book, I can now do all the things that I had to shelve when Mike capped it at twenty-five issues. In the end, it’s roughly fifty issues long, it’s five arcs, and it’s now far bigger than what we expected it to be, but I believe if one reads it from beginning to end, it has fulfilled exactly what Mike asked for at the beginning: “I want a universe that resonates.” I said, “I’ll build him a world and make it real.” That’s what I believe I’ve done. Time and the fans will tell me if I’ve succeeded. Father Niko: After I’d read the book up to the point that this latest miniseries was released, I went on Amazon to see reviews of the book, and if you believe it, there were people on there comparing it to Lord of the Rings and all the greats, and giving it very high praise! Lewis and Tolkien both wrote expansive, great fantasy epics that were steeped in Christian allegories. How much of an inspiration have those classic fantasy sagas been for you in this book? B: My hands down favorite saga as a child was Tolkien’s The Lord of the Rings. 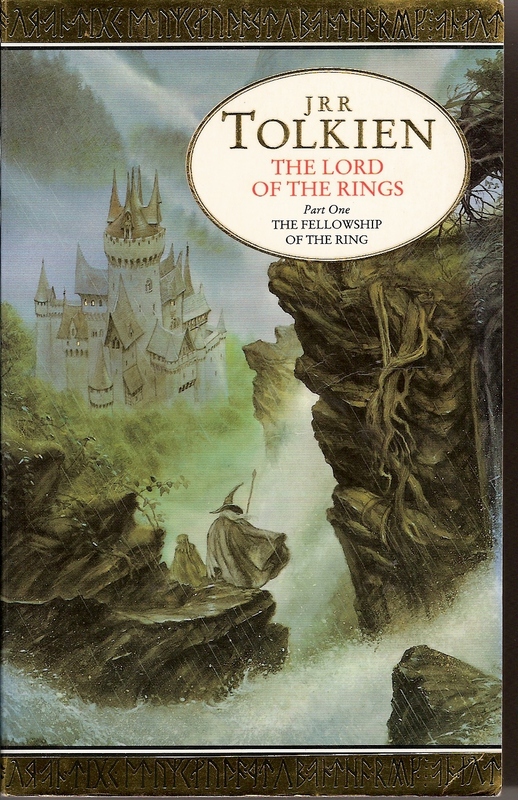 For my own storytelling sensibilities as a kid, I enjoyed it so much more than The Hobbit. I was able to view the Hobbit as a children’s introduction to what I considered the true meat of the story. Here I was as a child looking for the “meat,” and I had the horrible misfortune of seeking out Lewis’ The Chronicles of Narnia after having devoured Lord of the Rings. Most children work the reverse way: your introduction to fantasy is The Lion, the Witch, and the Wardrobe very, very young. You graduate from The Last Battle into The Hobbit, and then you get your mind blown because then you mature to appreciate Lord of the Rings. I ended up doing it all completely backwards. Chronicles of Narnia—while the storyteller in me respects the creation tremendously—never settled in my heart the same way as others who discovered it as children. I think the older I’ve gotten, the more I’ve come to appreciate it, similar to the Jack Kirby/Steve Ditko conversation we had pre-interview. The opportunity to do something on par with Lord of the Rings was definitely a tempting lure for me. As for the Judeo-Christian influences of both of those works—Lewis’ Chronicles of Narnia is very much direct Biblical and spiritual allegories. With Tolkien, he was writing from the Judeo-Christian cultural heritage he had grown up with, yet not looking to do an overtly Christian tale. It is a tale that, if one is a Christian, you can read Lord of the Rings or see the film versions and discern all the elements are there thematically without it being an explicitly Christian work of any denomination or faith practice. That’s how I view my own work coming into the storytelling process as an Orthodox Christian. That’s the perspective I start from, and never want to be legitimately accused that my creative works are little more than thinly veiled Gospel tracts of what I believe. My goal in using my storytelling gift is that I seek to entertain. If in the process of entertaining I can inspire readers to ask questions they previously wouldn’t have asked, then I feel I’ve done a pretty good job. FN: I think my favorite scenes in Mice Templar are the moments with Wotan. [Wotan is a metaphor or personification or vision of God for the characters and the Templar order- often depicted in the story as an owl.] You have flashback sequences with watercolor-looking backgrounds. I absolutely ate all that up, I loved it. I loved some of the dialogue that Wotan has with Karic, like when Karic says, “In that choice, that surrender, I am free.” Or Wotan saying things like “My grace is sufficient for thee.” It’s clear that there’s some Judeo-Christian metaphors going into this. What are your thoughts on those scenes, and since becoming an Orthodox Christian, has your approach to writing changed at all? B: Let me address the second question first. For those reading this, in the last five years my wife and I have converted to Eastern Christian Orthodoxy from a background of, for lack of a better term, Evangelical Christian of whatever evolving flavor of the week. I had a lot of negative experiences, and a few positive experiences… but mostly negative experiences in my experience (laughs). A lot of my background then was being pressured by outside sources within the Evangelical community—if one is an artist or creator, or a performer of any type, if you’re not then using your gift to proselytize, somehow you’re perceived as doing something wrong. I never liked that, I tried to never subscribe to that. I don’t believe you can look through my body of work and feel like you’re being preached at. Orthodoxy, from the outside, looks like it would be so much more of a strict approach, but it actually became more liberating for me, because of its emphasis on the personal life. Now my stories don’t have to carry any of that baggage of expectation, or there are no “spiritual requirements” that my story has to fulfill, I just get to tell stories. Hopefully, I can keep writing the kind of stories I enjoy reading. I know the things that stir and move me, I know what I like in the finale of a tale, how all the elements can come together to give you a satisfying ending. Now I have the freedom to do that without bringing a heritage of religious trappings or baggage. I’m free to just tell the story. I think the ending of Mice Templar and what I’ve done with Furious are both examples of the freedom I now feel in Orthodoxy. 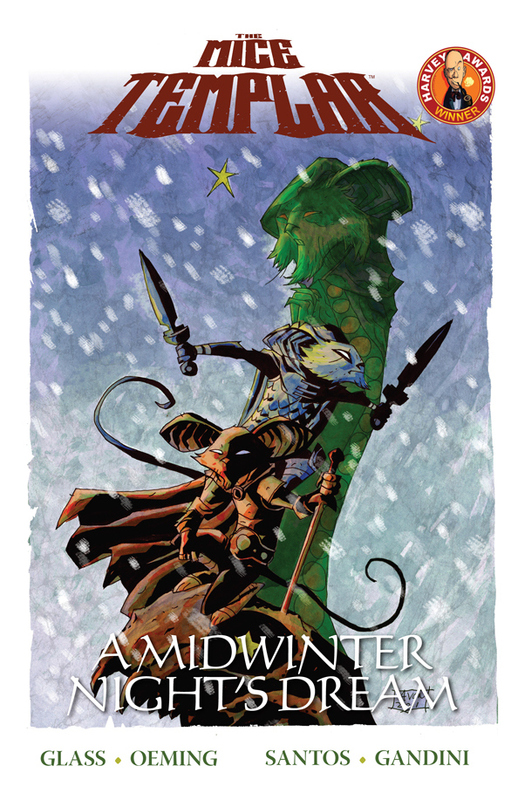 Getting back to Karic and Wotan, in Mice Templar: there is a pantheon of gods. I use the small ‘g’ god, while Wotan is referred to in the story as the “God above gods.” He’s simply Creator of all. He’s active in the creation but he’s not bound by the creation. Hence, he has many representations of himself. The characters look up and they see the sun in the sky and the moon at night, and those are both emblems of Wotan, they are the “Great Eyes of Wotan.” Wotan also manifests as a great glowing owl in the evenings. If you’re a mouse, an owl is what takes you to meet your maker. It’s your final journey. This embodiment of God when he shows up in the story, made me very concerned from both aspects of my religious life— pre-conversion and post-conversion— that if you’re going to invoke God in your world, you don’t want to play with God like a Greek Zeus or Apollo. You don’t want to reduce him to being just a more powerful version of a human in another guise. I wanted to make sure that he’s not just a character fulfilling purposes in my book. I want to give the Almighty the respect that his position deserves. So I entered into every one of the Wotan scenes very, very carefully. I was very concerned with what dialogue I attributed to him. In the end there is still an element of mystery. 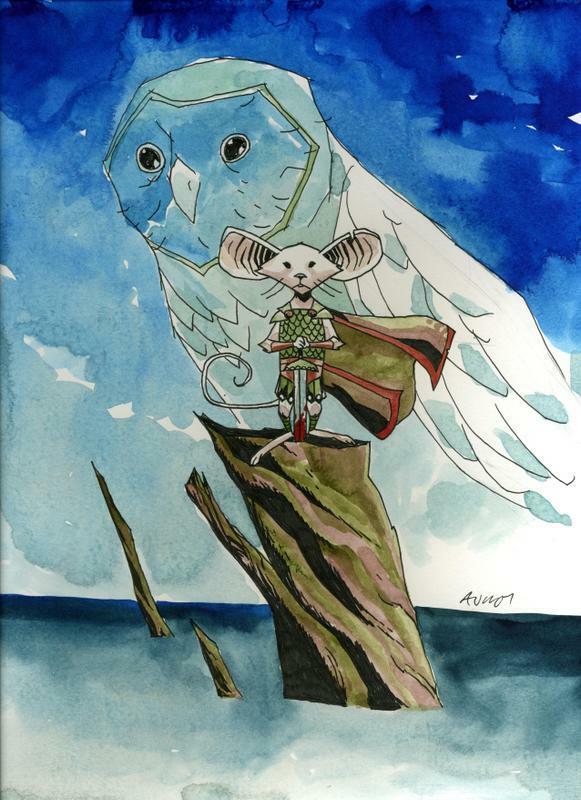 You cannot define Wotan in the Mice Templar universe. He allows you to see aspects of himself, but if I’ve done my job well, his agenda always seems to be more eternal, but at the same time, taking these small, little moments in Karic’s life. He is still engaged with his creation while not being constrained by what he created. And it was so fascinating as my wife and I made the journey into Orthodoxy, that that was a very Orthodox view of God. FN: Absolutely. I was just about to pop in and say that. That’s a very, very Orthodox view. Another Orthodox concept you mentioned is mystery. I loved that too. I know I’m partial coming at it from the standpoint of an Orthodox Christian priest, but nevertheless it’s not something you encounter in modern day fables. I found it to be tremendously interesting and tremendously refreshing, and the strength of the book. Hats off to you for that, I thought it was great.